Deciding to read this book was such a good decision. This sort-of-not-really historical fiction ya novel is a (very) loose telling of the story of Rupert Buxton and Michael Davies (nephew to Peter Pan author, J.M Barrie) and their mysterious death. Now, this book is honestly rather absurd. And I loved it because of that. This plot, as absurd as it may be, was so delicious and invigorating and such a brilliant idea. Were some parts predictable? Absolutely. Do I care? Absolutely not. This is an amazing Halloween read full of all kinds of supernatural ghosty things and witchcraft and so much more. "Michael, don't forget our Neverland." For nearly a century, the ghost of 17 year-old Rupert Buxton has been trapped in his childhood home. He spends his days reading, roaming, and trying desperately to recall his former life. Hope is restored when a boy his own age moves into the manor-a boy he quickly becomes fascinated by. This peculiar, modern boy is the first person that Rupert has been able to reveal himself to, and just might be the key to help him discover his mysterious past. 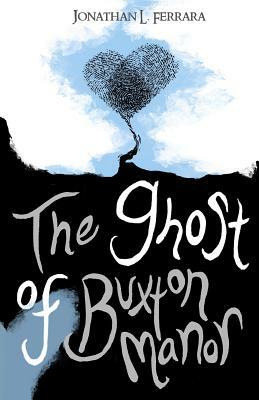 The Ghost of Buxton Manor is a young adult, LGBT paranormal fiction centered around historical figures Rupert Buxton and Michael Davies-the inspiration behind the real Peter Pan.